This serves as a stark reminder that the First Amendment to the U. S. Constitution—the right to free speech—hasn’t always applied to all Americans. Eighty years ago, in a dark period for labor and social activists, exercising free speech often led to imprisonment and deportation. When the United States entered World War I in April 1917, the government faced twin threats in the war against Germany and the Russian Revolution. To President Wilson, labor unions were harmful to the war effort while anarchism and socialism were “anti-American.” The Espionage Act (1917) and the Sedition Act (1918) outlawed efforts to obstruct military recruiting, write or publish disloyal information, express contempt for the government’s actions or in any way disrupt or speak publicly against the war. Under the 1918 Alien Act, the government could deport immigrants solely on political whim, if such people dared to question the rise of big business, encouraged the use of strikes, or spoke out against the war. Under the auspices of the Department of Justice, the Bureau of Investigation (later the FBI) undertook selective enforcement of these new laws. With the premise that communism was “eating its way into the homes of the American workman,” U.S. Attorney General A. Mitchell Palmer directed his men to go after unions as well as communist and socialist organizations. 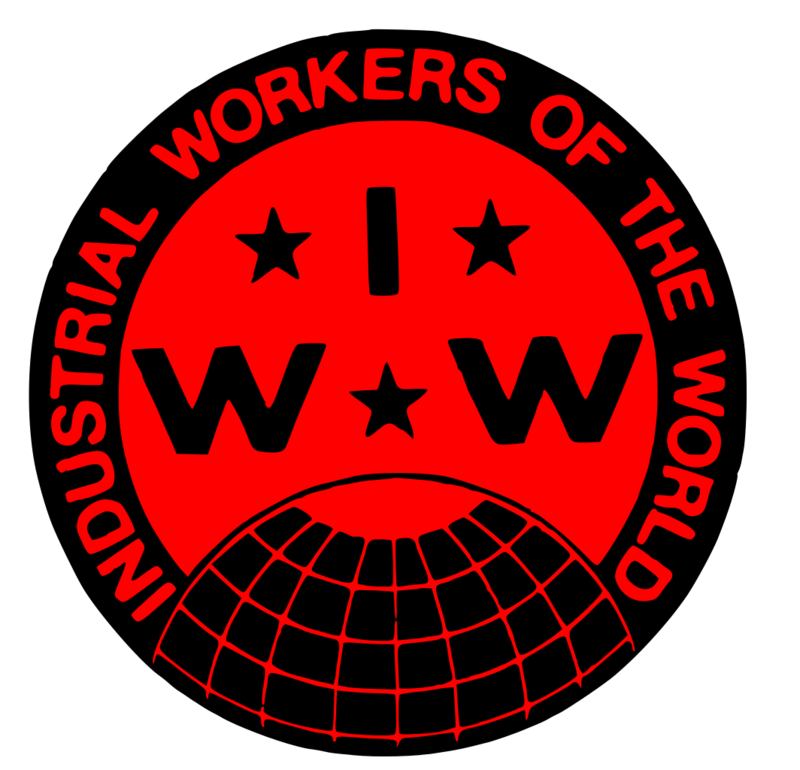 One of the primary targets of these new laws was the increasingly active and radical Industrial Workers of the World (IWW). Because the union organized immigrant and unskilled workers regardless of race, religion or gender, Palmer blamed the IWW for spreading dangerous ideas. In 1917 federal agents raided 48 IWW halls, arresting 165 leaders. Those arrested included Bill Haywood, the executive board and editors of the union’s newspapers and publications. Members were charged with conspiracy to hinder the draft, encouraging desertion and intimidation of others in labor disputes. In April 1918, 101 members went on trial. Almost all were convicted and sentenced to prison terms of up to 20 years. Persecution of the IWW continued in the following years, with over 2,000 total arrests. The Socialist Party, which at the time had close to 100,000 members, also fell victim to these new laws. In May 1917 the party’s office in Indianapolis was raided. By September the federal government had rounded up most of the leaders and brought them to trial in February 1918. Socialist Party leader Eugene V. Debs was also arrested and after his trial was sentenced to ten years in jail. The following year, the Supreme Court ruled that the speech Debs gave supporting socialism and opposing military recruitment was not protected by the First Amendment. Recent immigrants bore the brunt of the government’s attacks. Although nearly a third of Americans were first- or second-generation immigrants, many were from Eastern and Central Europe and considered untrustworthy. In 1919 President Wilson authorized Attorney General Palmer to arrest and deport thousands of foreign-born radicals. On one notorious night that December, 249 resident aliens, including anarchists Emma Goldman and Alexander Berkman, were arrested and ultimately deported to the Soviet Union. Palmer explained that he and his agents had undertaken to “tear out the radical seeds that have entangled American ideas in their poisonous theories.” He also claimed that “like a prairie fire, the blaze of revolution was sweeping over every American institution of law and order….” A 1919 anarchist bombing campaign gave him further excuse to take action (despite later evidence that Palmer himself orchestrated the bombings to discredit the anarchists). Agents targeted organizations and individuals, and arrested people based on associations, often without evidence or warrants. In January 1920, over 10,000 people were arrested, although more than half were released when the U.S. Secretary of Labor noted it was legal to join the Communist Party. In the end only about 550 people of this group could be deported. In case after case, the U.S. Supreme Court upheld convictions under these laws. In Schenck v. U.S. (1919), the court noted that “when a nation is at war many things that might be said in time of peace are such a hindrance to its efforts that their utterance will not be endured so long as men fight.” Such collusion between the executive and judiciary allowed the injustices to continue as long as public opinion supported the actions. Fortunately, the government’s heavy-handed policies did not go unopposed. Some members of the American Union Against Militarism, led by Crystal Eastman and IWW member Roger Baldwin, established the National Civil Liberties Bureau to defend conscientious objectors and the right of free speech. By 1920 the Bureau was renamed the American Civil Liberties Union, and pledged itself to protect constitutional rights. Founding members included Helen Keller and Elizabeth Gurley Flynn of the IWW, as well as other labor leaders, attorneys, authors and radical activists. Immediately the ACLU opposed deportations of radical activists and the government’s attacks on unions’ rights to organize workers. The organization also fought the persecution of all of the people arrested and imprisoned for expressing anti-war opinions. Although Palmer said he “gloried” in the arrests, some government officials started to question them. Louis F. Post, the man who had signed Emma Goldman’s deportation order, later admitted that “cases in which there was substantial proof of any unlawful act with sinister intent or guilty knowledge were exceptions — very rare exceptions.” The Supreme Court also felt the pressure. Although the US Supreme Court had not upheld any free speech claims under the First Amendment prior to the founding of the ACLU, suddenly it sang a different tune. In dissenting opinions, Justices Oliver Wendell Holmes and Louis Brandeis stated that speech could not be punished unless it presented a “clear and present danger.” In Gitlow v. New York (1925), the Supreme Court finally decided that freedom of speech and the press were protected by the First Amendment from federal encroachment. Even though the Palmer Raids and America’s first “Red Scare” lost steam after 1920, the damage was done. Neither Palmer nor Joseph McCarthy in the 1950s could prove the existence of subversive conspiracies against the government. Despite being discredited, these men’s legacies continue to shape Americans’ views of organized labor and radical political ideologies. With this in mind, it’s important to notice when a presidential candidate favors restricting free speech rights. Perhaps 1919 was not really that long ago. Women’s Wages: A Medieval Problem in the 21st Century?